At this time of year we are all using up fat balls at a rapid rate. 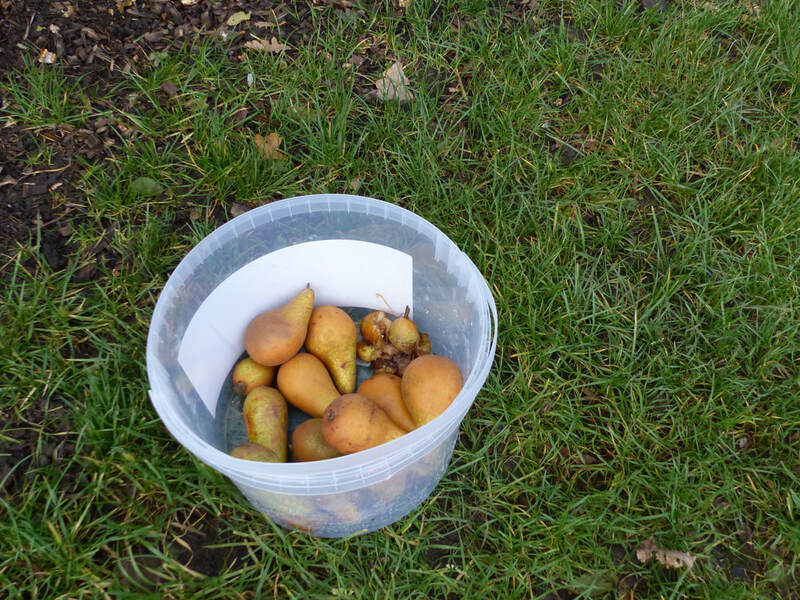 ​Here are some ideas to help you reuse your empty fat ball tubs instead of discarding them. 1. 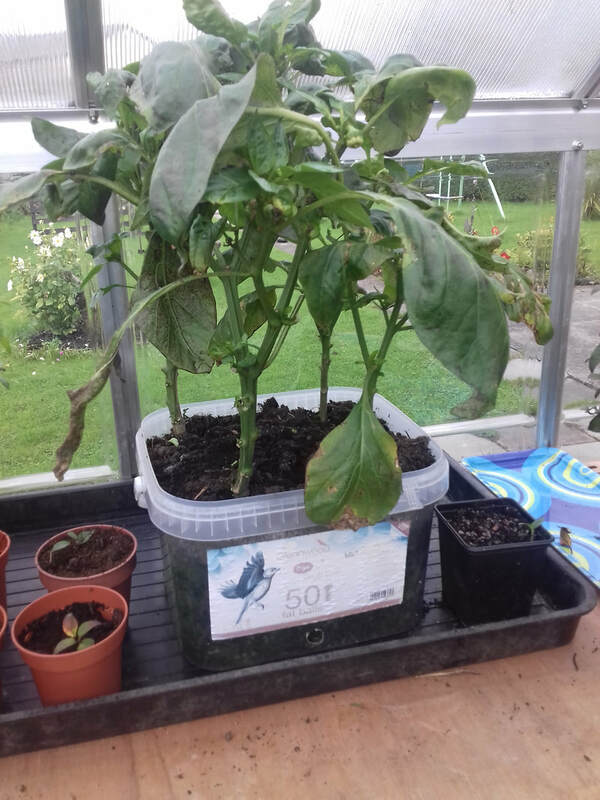 Grow peppers in them. This healthy specimen is courtesy of Les Lomax. 2. Use them to gather fruit and grade according to ripeness. 3. 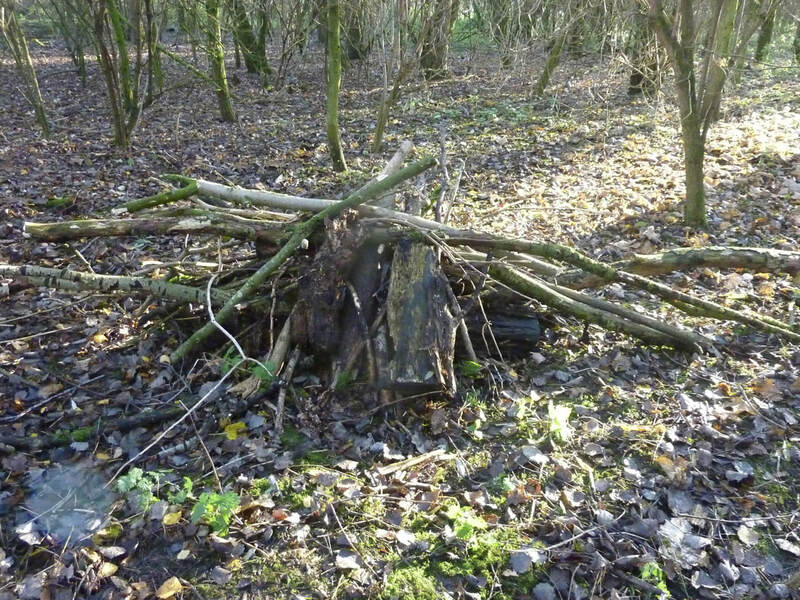 Under this habitat pile at Pickerings Pasture is a hedgehog box made from a container with a piece cut out. Friends of Pickerings Pasture use them to transport bird food from one feeder to another. They make ideal containers for small toys such as lego. Use them as overflows when your water butts are full. They are always ready for watering pots in dry weather. Use them to wash and grade stones from the pond each year. Transform them into mini ponds – ideal homes for frogs and toads. Make a Treasure Box for the children to keep special things in. They're easy for children to decorate. Clothes pegs, shoe cleaners, sewing aids, wrapped first-aid items can all be kept in these tubs and they do stack well. How about keeping Christmas tree lights in them: and the decorations. I can think of loads of things to store in them: both for the garden and the shed. We are sure you will have other bright ideas which can be added. You can send ideas to pickerings123@gmail.com (with or without a photograph. Thank you.